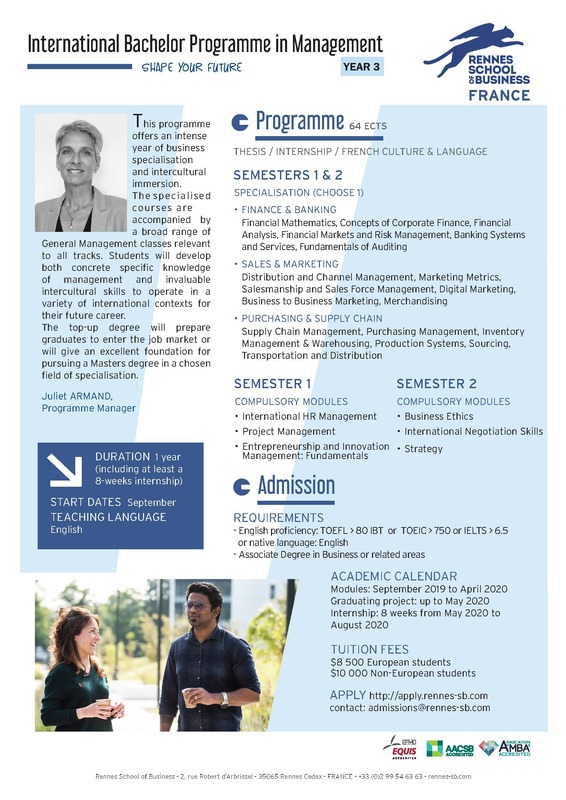 Caroline JOUANIN, Area Development Manager, from the Rennes School of Business (France) will be available to meet with students and business faculty or staff on Thursday, February 7th from 11:30am-12:30pm in the Berkeley City College Transfer Center to share information about their program. 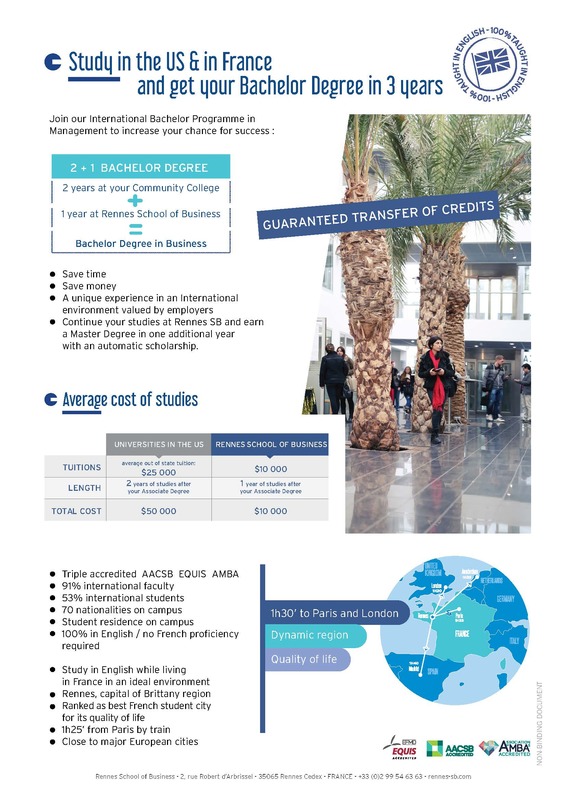 Berkeley City College has developed a transfer agreement for any BCC student who have completed an AA Degree in Business to be accepted to their International Bachelor’s Program in Management in France. Here is a link to the approved agreement. Please see video and flyer for more details below.